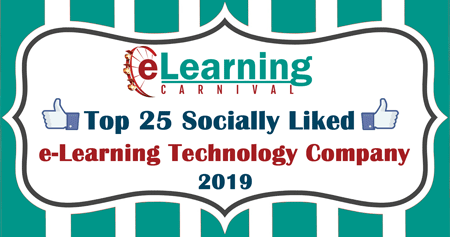 Learning Carnival announces the 2019 list of Top 25 Socially Liked e-learning Technology Companies. The objective process we used for selecting these companies is appended at the bottom of the list. We are seeing a continued effort from the Learning technology organizations to be active on social media platforms. This makes them more transparent and exposed to customer criticism and reviews. This year we are also publishing the names of the “Challengers” who have a Learning Carnival Social Score of more than 10,000. For security reasons, please answer this math question in the box below: 7 + 5 = ?